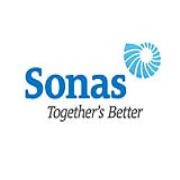 Sonas Nursing Homes is an award winning leading provider of residential care to older persons operating Nursing Homes with independent living villages across Ireland. Sonas Nursing Homes cater for respite, convalescent, day care, short-term, long-term and palliative care and independent living. At our core is a commitment to our Sonas Values - Teamwork, Energy, Advocacy, Warmth, Empowerment and Empathy. Sonas Nursing Home Cloverhill is located beside Cloverhill Church and primary school in the heart of the community, with a service that’s out on its own. The 54 bed Nursing Home is a bright, modern, state-of-the-art facility, offering personalised care in the relaxed atmosphere situated three miles from Roscommon town. Employing over 550 people nationwide, we offer unparalleled opportunity to develop your career and broaden your experience. Sonas Nursing Homes have built and sustained its reputation for excellence which make us an excellent employer of choice. Support and assist residents enabling them to fulfil their activities of daily living ensuring that residents are encouraged to be as independent as possible. Deliver a high standard of person-centred care ensuring all practices reflects the privacy, dignity and respect of our residents and underpins all the basic values that contribute to an excellent quality of life. Establish and maintain relationships with residents that are based on respect and equality. Promote, encourage and practice the ethos of person-centred care. Participate in organising and carrying out social outings and in-house activities. Maintain resident’s dining rooms, living areas and bedrooms in a neat, presentable and hygienic state. Assist the management team during internal and external audits/inspections. Must be available to work day, night and weekend shifts on a fulltime basis. Must have started or completed FETAC/QQI Major Award Level 5 in Healthcare or related field. Modules completed in Care of the Older Person, Infection Prevention & Control, Nutrition and Palliative Care Support are desirable. Current and valid Infection Control, Manual and Resident Moving & Handling & Safeguarding of Vulnerable Adults Certificates (training can be provided if required).